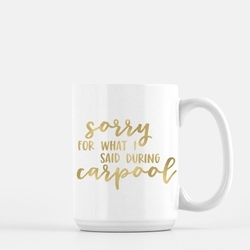 Home > Cups, Mugs & Napkins > Mugs > Carpool Mug 15oz. Ink Color: Metallic GoldMetallic Silver(-2.00) Matte Black Oh phooey! This item is currently out of stock. 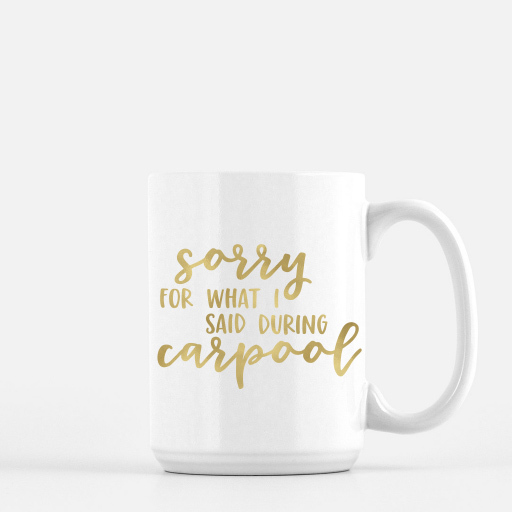 Description: Give yourself and others a good chuckle with this carpool-themed 15oz coffee mug. Choose from gold foil, silver foil, or black ink. Mugs are printed on demand. Please allow 5 to 7 business days for delivery.